Consumers rely on various forms of insurance, including health, life, auto, and home-owners insurance. Every year, however, many consumers become victims of insurance frauds and scams, often costing them thousands of dollars. Our consumer protection attorneys represent victims of insurance scams and fraud, enforcing their rights under various consumer protection laws and fighting to recover their losses. In the Blue Shield class action lawsuit, for example, we recovered $6.5 million on behalf of Blue Shield of California customers who alleged their premiums rose by as much as 40% with no warning or opportunity to switch to a comparable plan. If you’re suffering financial or medical consequences as a result of insurance fraud, our consumer protection attorneys may be able to help. 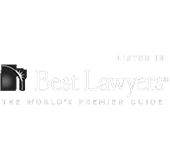 Call or message us today for free, confidential consultation about your potential case.